Except it's not winter: it's early June. This isn't Colorado either: it's Oregon. 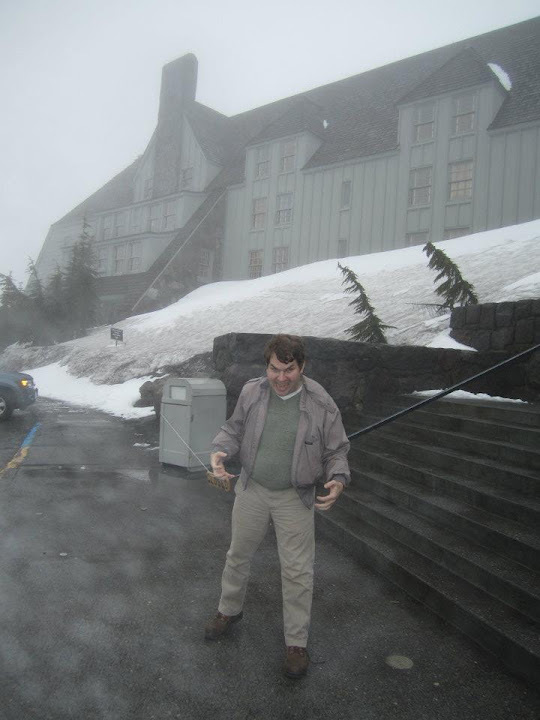 And this is not the Overlook, but the Timberline Lodge on Mount Hood (open for skiing year-round) which is what was use for the exterior and establishing shots of Stanley Kubrick's 1980 horror classic The Shining. And while we were there I just had to channel my inner Jack Nicholson for a pic (especially since there was so much snow around us! ).